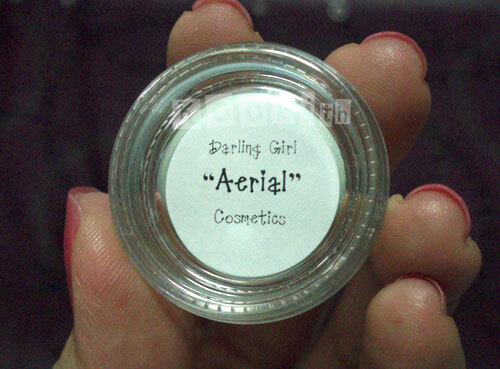 Darling Girl Cosmetics (DG) is a rather new company founded in June 2010, less than 1 year ago. The owner, Susan, started off this company by offering customisation on products – customers were able to choose between different finishes, effects and intensity. Hi my name is Susan and I am the founder of Darling Girl Cosmetics. I am a stay at home mom and am a self-proclaimed makeup junkie : ) I have been using mineral makeup for years now and several month ago decided to start mixing up my own shades. Through the urging of many friends and family members I am offering my creations to all of you. The concept of Darling Girls Cosmetics came from frustration in never finding the exact shade I wanted. 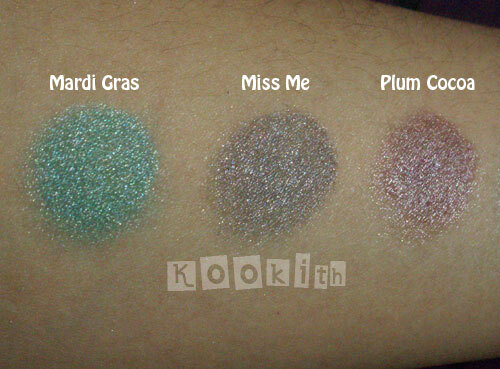 I would find almost the perfect shade, but maybe wanted a little more shimmer, or a little less shimmer etc. So I offer shades that can be altered. Everything listed in the products pages can be bought as is, or if you’d like to add a little pizzaz or maybe a little less pizzaz I can alter them for you. If you don’t see a shade you want I can custom make one for you. This way you get the exact shade you want. The company had gradually evolved into creating its own line of eye, lip products, and face products. 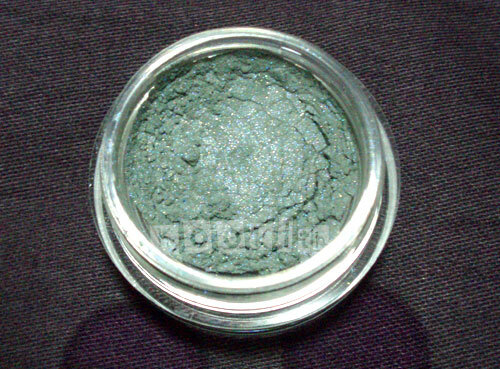 Susan’s e-crater shop now lists hundreds of products – an impressing feat for a newbie into the world of indie makeup. Susan recently took a 2-month hiatus to move to a new place, and she has announced that she will be open for business on 1 April 2011. 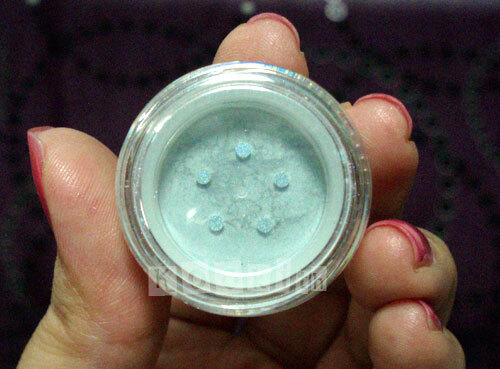 The eyeshadows are well-made. They blend really well and there is little to no fallout. The colours last throughout the day and do not fade. 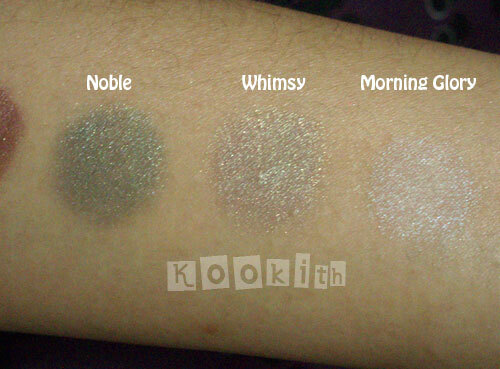 They also remain true to colour after blending, and do not lose their shimmer or turn muddy. Morning Glory – Looks peach in the jar but goes on a creamy off white with multi-colored sheen. Beautiful! Eye Candy (1) * – I couldn’t even begin to describe this shade. It’s brown but leans purple, and filled with multi-coloured sparkles. Eye Candy (2) * – Beautiful cream with a stunning mother-of-pearl sheen. Would make a great highlight or one-colour wash.
DG blushes are very pigmented. A little tiny bit goes a long way and the colour payoff is excellent. These do not fade or turn orange, yet they are easy to blend. A-peachy-ation * – A pretty pink/coral blush with subtle shimmer. Looks scary in jar but blends wonderfully. Absolutely gorgeous! The texture feels more like a cross between a lip balm and a lip gloss. My only observation is that it’s not as ‘liquidy’ as other glosses, thus the product doesn’t come out easily. I think it could be the formula. Personally, I’d prefer this to be in a tube. 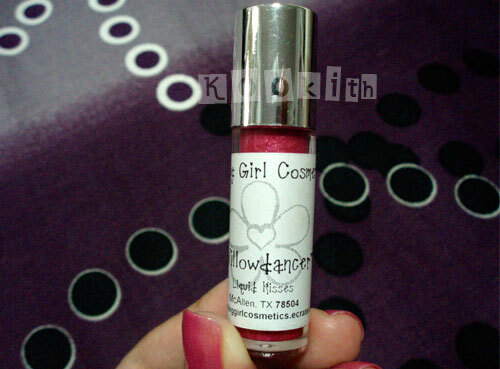 Willowdancer * – It’s a sheer but buildable cool pink with subtle silver shimmer. It’s really pretty, and the lasting power isn’t too bad either. Faith * – A brown lip gloss with no shimmer. There are very slight pink tones to it but it’s mostly brown. These come packaged in a 3.5 ml lip gloss wand with doe foot applicator. These come packaged in a 5.9 ml lip gloss wand with doe foot applicator. 1) Italics are quotes obtained from Susan, either via her blog, shop, forum or emails. Those colors never made it to the shop. Those were all colors that I made prior to opening the e-store. The Eye Candy I will have to search for those older ones. Those were all shades that I made but never made it to the site either because I already had shades similar to it or it just didn’t turn out quite like I wanted it to, so some of these I don’t have the formulas for. Customer service was excellent. There was constant communication with the owner and shipping was extremely fast. Everything was packed securely in fancy tissue and there were no issues with leakage. I would definitely buy from Susan again. Hell, I’m waiting for a DG package as we speak! What will you order when DG reopens?